North Central College presents The Four C Notes, Sunday March 24, 6pm in Madden Theatre. 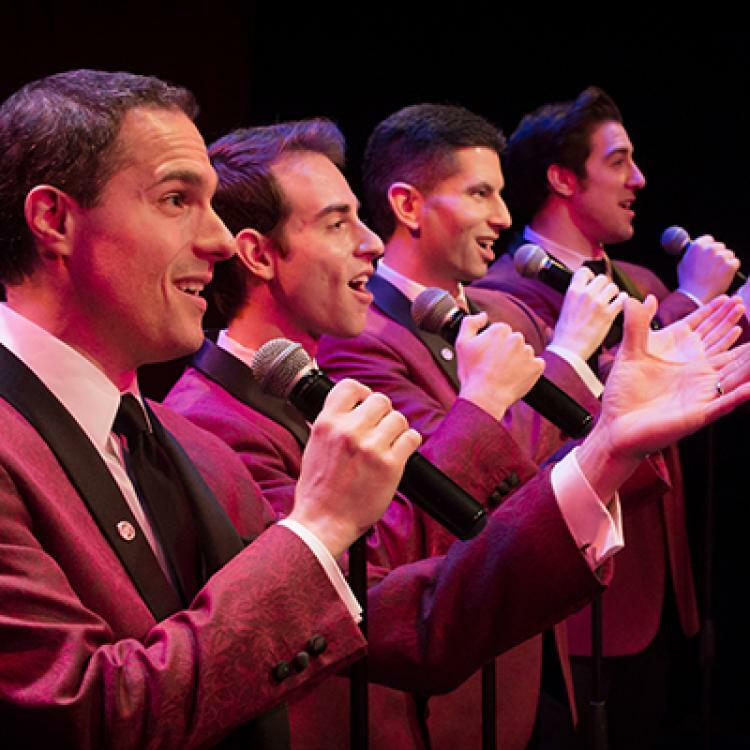 Pioneered and headlined by John Michael Coppola, best known for his appearance in Chicago's long running production of the Broadway, smash hit JERSEY BOYS, THE FOUR C NOTES are the Midwest's only tribute dedicated to recreating the music of Frankie Valli and The Four Seasons! While they call Chicago home, they have been seen at private events, performing arts centers and outdoor festivals ALL OVER THE COUNTRY! The tribute features all of your favorite hits, including: "Sherry", "Big Girls Don't Cry", "Walk Like A Man" "Workin' My Way Back To You, (Babe)", "Can't Take My Eyes Off Of You", "Let's Hang On" and many, many, more ... THE FOUR C NOTES are quickly becoming the country's premier Frankie Valli tribute and they're not to be missed!